Below you fill find all funeral homes and cemeteries in or near Lincoln Park. Lincoln Park is also known as: Wayne County / Lincoln Park city. Their current mayor is Mayor Brad Coulter. Zip codes in the city: 48146. Some of the notable people born here have been: Larry Pashnick (baseball player). 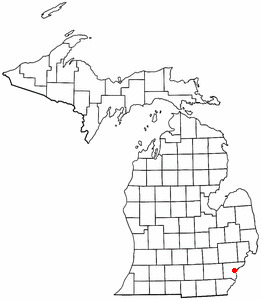 Lincoln Park is a city in Wayne County in the U.S. state of Michigan. It lies in an area of cities and communities known as Downriver. The population was 38,144 at the 2010 census. The settlement was organized as a village in 1921, and reorganized as a city in 1925. The area was originally home to the Potawatomi Indians who ceded the land to a French settler, Pierre St. Cosme, in 1776. It developed as a bedroom community, providing homes to workers in the nearby steel mills and automobile plants of the Detroit area while having no industry within its bounds. It was written by News Herald on February 17th, 2019 that Juanita Davis passed away in Lincoln Park, Michigan. Davis was 97 years old. Send flowers to share your condolences and honor Juanita's life. It was noted by News Herald on February 6th, 2019 that Alice Elizabeth Crockett perished in Lincoln Park, Michigan. Crockett was 98 years old. Send flowers to express your sympathy and honor Alice Elizabeth's life. It was revealed by News Herald on February 3rd, 2019 that Robert L Mullins perished in Lincoln Park, Michigan. Mullins was 41 years old. Send flowers to express your sorrow and honor Robert L's life. It was reported by News Herald on January 27th, 2019 that Minerva Navarro perished in Lincoln Park, Michigan. Navarro was 86 years old. Send flowers to express your sorrow and honor Minerva's life. It was disclosed by News Herald on January 23rd, 2019 that Lucille M Stroh (Peters) passed on in Lincoln Park, Michigan. Ms. Stroh was 91 years old. Send flowers to express your sympathy and honor Lucille M's life. It was noted on January 20th, 2019 that Donald E Stevens passed on in San Francisco, California. Stevens was 63 years old and was born in Lincoln Park, MI. Send flowers to express your sorrow and honor Donald E's life. It was written by News Herald on December 2nd, 2018 that Murl R Orman died in Lincoln Park, Michigan. Orman was 80 years old. Send flowers to express your sympathy and honor Murl R's life. It was written by News Herald on November 14th, 2018 that Grace M Kreuger died in Lincoln Park, Michigan. Kreuger was 99 years old. Send flowers to share your condolences and honor Grace M's life. It was noted on September 21st, 2018 that Ernie E Reaume perished in Plant City, Florida. Reaume was 81 years old and was born in Lincoln Park, MI. Send flowers to share your condolences and honor Ernie E's life. It was revealed by Chicago Tribune on September 19th, 2018 that Nancy Mary Roth (Szluk) passed on in Lincolnshire, Illinois. Ms. Roth was 76 years old and was born in Lincoln Park, MI. Send flowers to express your sorrow and honor Nancy Mary's life. The decision sparked animosity between the administration and the students and teachers, who generally saw it as an excessive measure given gang activity in the school had been largely eliminated in the late 1980s. However, included among the prohibited paraphernalia were any items related to the "paganism or "Goth subculture lifestyle/fashion sense, including most notably, representations of the pentagram. Under mounting pressure from the courts and media, the administration formally made an exception in the policy for practicing witches, though informally it dropped the matter. On April 27 1763, a council of several Native Americans in the United States Indian tribes from the Detroit region listened to a speech from the Ottawa (tribe) leader Chief Pontiac Pontiac urged the listeners to join him in a surprise attack on Fort Detroit, which they attempted on May 9. This animosity culminated in legal action against the school initiated by the ACLU, on behalf of a Crystal Seifferly, a 17 year old high school student who self-identified as a practicing pagan. 8:57pm - Patrick leads Baker by 18,000 votes 9:00pm - 13th Essex looks like it my go to a recount 9:01pm - Bet MSNBC feels like a funeral tonight ... 47pm - Sen. Blanche Lincoln lost her seat. 9:56pm - Deval Patrick will be reelected governor. funeral homes in Lincoln Park, MI 48146 on Yahoo! Local Get Ratings & Reviews on funeral homes with Photos, Maps, Driving Directions and more. John K Solosy Funeral Home has been serving Downriver and the Detroit area since 1935. Solosy Funeral Home, Lincoln Park, MI : Reviews and maps - Yahoo! Local, 313.383.1870. Get Ratings, Reviews, Photos and more on Yahoo! Local. We work with local florists and flower shops to offer same day delivery. You will find budget sympathy flowers in Lincoln Park here. Our funeral flowers are cheap in price but not in value.